An isolated hill occupying the centre of the valley between Lough Inagh and Recess. The quarry on the southern slopes produces the famous Connemara green marble. 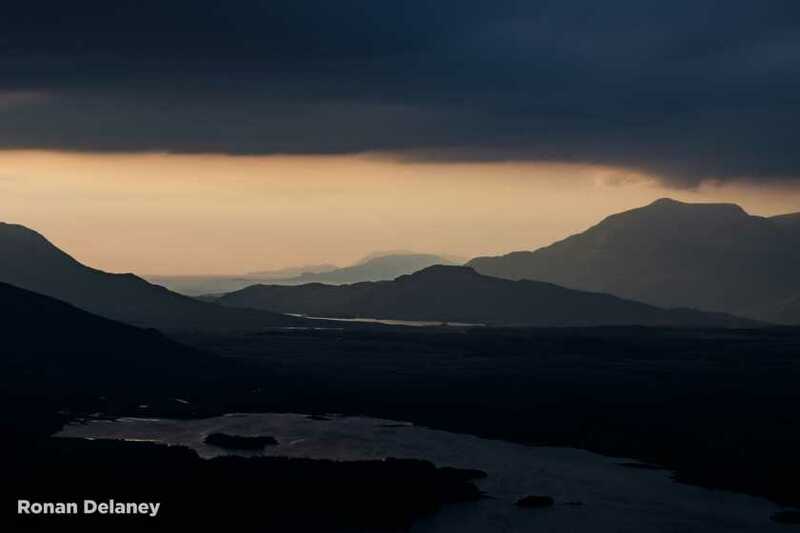 Walks: for a route to the summit and to Bun na gCnoc, see Paddy Dillon, Connemara, 129-33. Cnoc Lios Uachtair is the 938th highest place in Ireland.